"Greensboro, NC – August 22, 2016— Disney On Ice presents Follow Your Heart is bringing Disney•Pixar’s record-breaking animated feature Finding Dory to the ice for the first time in this live production produced by Feld Entertainment. The ice skating extravaganza featuring Disney•Pixar’s Inside Out, Disney’s Frozen and other beloved Disney stories visits Greensboro from December 1 to 4 for eight performances at the Greensboro Coliseum. Tickets go on sale Tuesday, August 30. Just keep swimming with Dory, Nemo, Marlin and new pal Hank from Disney•Pixar’s Finding Dory as they embark on a life-changing excursion to find her parents and discover the true meaning of family. Cheer with the Emotions from Disney•Pixar’s Inside Out –Joy, Sadness, Anger, Fear and Disgust– as they help Riley find the confidence to win the hockey championship and experience the emotional rollercoaster of growing up. Venture to wintery world of Arendelle where Olaf and Kristoff help reunite royal sisters Anna and Elsa from Disney’s Frozen and learn love is the most powerful magic of all. See Cinderella, Rapunzel, Tiana and the Disney Princesses make their dreams come true through their virtues of bravery, kindness and perseverance. And celebrate true friendship with Buzz Lightyear, Woody and The Toy Story gang. Make unforgettable memories with Mickey, Minnie and all your Disney friends when Disney On Ice presents Follow Your Heart skates into Greensboro! 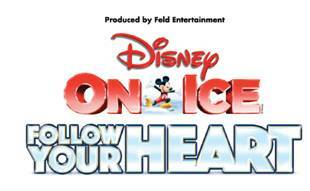 Tickets for Disney On Ice presents Follow Your Heart start at $20. Tickets are subject to availability, and VIP and Front Row seating is limited. Market pricing applies to all tickets. All seats are reserved, and tickets are available by calling Ticketmaster at (800) 745-3000. For group rates and information, reach out to Greg Marston at (336) 373-7433 or greg.marston@greensboro-nc.gov.